When Michael and I first started sharing a kitchen space I learned very quickly that Michael’s #1 pet peeve was something that for some reason I had not thought too much about, and that is FOOD WASTE. Which is crazy that this is something that I didn’t think about before. I was a university student on a budget once, and I am aware of the many who have little to eat and how food waste is one of the many ways I would be highlighting my privilege. But it was something I never really thought about before, and I decided to try and remedy and after 5 years I think I may have stared to get better at it! I’ll walk you through this weeks journey of no food in the trash! It all started on Saturday when we had roast chicken and vegetables for dinner. We had just enough potatoes and carrots for 1 person left but 1/2 a chicken. On Sunday we were having pizza and as Michael resquested MEAT pizza. Sunday morning I fried up 3/4lb of ground beef and some Italian sausage for the pizza took about 3/4 of a cup of the sausage out and reserved it for dinner and used the rest to make buiscuits and gavy for breakfast (I wish I had snapped a picture because it was so good). The second I used enough of the roast chicken to have 1 serving left to go with that one serving of vegetables! Monday we had left over night where we ate the chicken and pizza for dinner to clean that up. 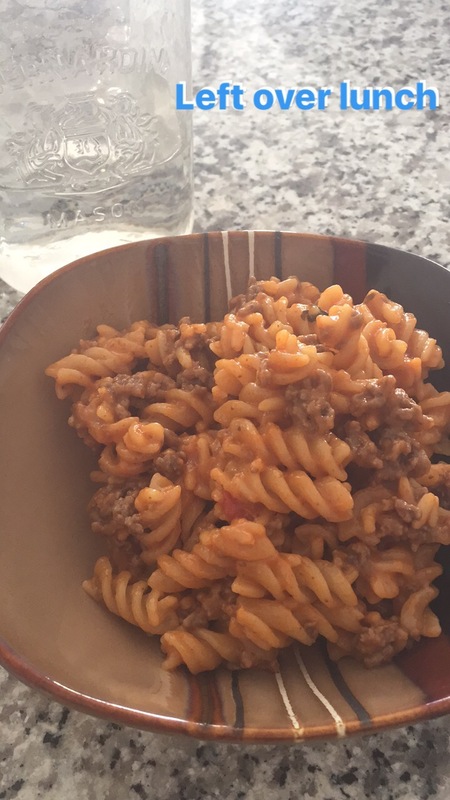 Now to tackle all that plain ground beef, so Wednesday I mixed it with some pasta and a can of tomato rice south make a goulash for lunch. And now my fridge is Tupperware free and no food went into the trash! How do you keep your left overs from getting boring? Let me know in the comments below!